When Brian McCarthy visited Ciudad Juarez, Mexico, he was shocked at the poor living conditions of workers there. That trip inspired him to start Por Fin, Nuestra Casa (Finally, a Home of Our Own) to help workers and families achieve the dream of owning their own home. 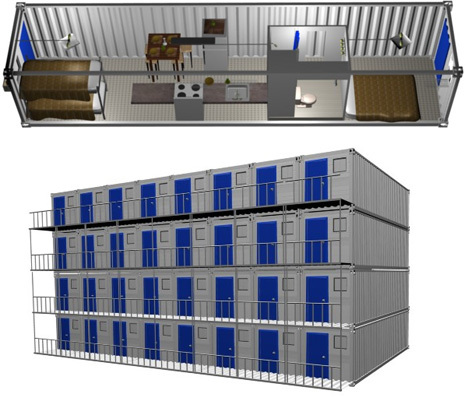 This multi-unit urban residence would sleep 2-6 people per unit.